Apple negotiated with Facebook for more than 18 months to launch Ping, its new social network. How much heads up did they give to record labels? Absolutely none. Apple negotiated with Facebook for more than 18 months to launch Ping, its new music social network. The talks were crucial, though ultimately unsuccessful, for Apple, which aimed to create a vibrant online community by porting users and friends from an already populated network. The other half of that equation was the artists: Steve Jobs showcased Ping as a place where you can befriend your favorite bands and musicians. To do so, Apple needed to work with record labels, the ones who supply iTunes with the large majority of its downloaded music. But how much heads up did Apple give to its music industry partners? Forget 18 months, try no heads up at all. 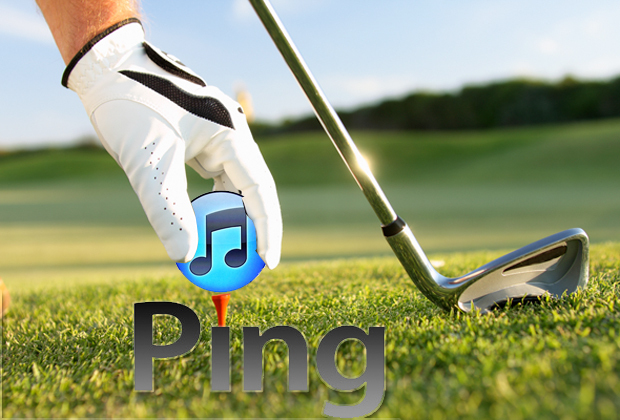 According to several music industry insiders, Ping has so far been a disappointment. “It’s not a game changer,” said one source, who described reaction to the iTunes’ network as indifferent. A reason for this lack of enthusiasm is due to Apple keeping record labels out of the loop. Another music industry source said labels were not briefed on Ping until the day of or day after the service’s launch. Instead, Apple went straight to management, securing help directly with artists such as Lady Gaga and Jack Johnson to create profiles on Ping. The major record labels found out about the new music social network the same time as the public. It wouldn’t be the first time Apple stuck it to the major labels, and, given, the corporate behemoths driving mainstream schlock aren’t real convincing as victims. The issue here is that Apple launched Ping without insight from a major part of the industry: the A&Rs and digital marketing teams, the people whose job it is to connect artists with fans. Perhaps this accounts for why Ping is so, well, boring. Apple may be able to hunker behind high-clearance security doors, plotting beautiful, top-secret products from the iPod to iPad. But when it comes to a music social network, Apple’s laser-focus on minimalist design makes Ping feel almost sterile. Most significantly, Apple launched Ping without support from the artists. Users who registered early on found only a tiny roster of artists to follower–Katy Perry, Yo-Yo Ma–and it could remain that way for some time. According to a source at Digital Music News, Apple is manually creating profiles for musicians “one-by-one,” an incredibly slow process to both develop the proper design and authenticate the musicians–a process that will make populating Ping even more gradual. “Apple needs to manually create each page on their end, send us the login and then we populate it,” the source explained. Of course, Apple isn’t entirely to blame for keeping details mum from major record labels. The music industry is infamous for its inability to keep things secret–just look to all the bootlegs and pirated songs that have all but cannibalized a once profitable business. (“The music industry in particular leaks like a sieve,” said one source.) So perhaps it’s reasonable that Apple–with its fanatical design process–would want to keep labels out of the loop. After all, think about Google Music: How many details have already leaked about that supposed iTunes killer? “That’s the worst kept secret in the music business,” said one music industry insider.